The rumors appear to be true. Altria Group (NYSE:MO) is interested in investing in marijuana producer Cronos Group (NASDAQ:CRON). Speculation surrounding a deal sent Cronos stock soaring on Monday. CRON stock had gained as much as 30% at one point before settling for an 11% gain on the day. Altria stock gained 1.8% on Monday — but the broad market was strong, and MO stock was unchanged in after-hours trading. That’s despite the fact that Cronos confirmed the discussions in a press release Monday. While a deal isn’t guaranteed, the confirmation of talks is likely to send CRON stock — and other pot stocks — higher on Tuesday as well. But the implications of the potential deal go beyond near-term trading. It was the investment in Canopy Growth (NYSE:CGC) by Constellation Brands (NYSE:STZ,STZ.B) that signaled real money was going into marijuana. How — and at what price — a Cronos-Altria deal is structured could go a long way toward confirming that optimism — or undercutting it. The Constellation deal — a nearly $4 billion investment — was transformative for the marijuana sector. It showed that a big player in an adjacent industry was willing to make a large bet on cannabis stocks. At the same time, however, it was just one company. And Constellation has remained one of the more aggressive operators out there. And — at least so far — the investment hasn’t necessarily worked out for Constellation. Investors sold off STZ stock on the news. It would rally – but touched a 17-month low last month. Marijuana skeptics, then, could dismiss Constellation’s investment. That will be much harder to do if Altria goes big into Cronos. And such a move could also incentivize other global players to move before they’re left out. Coca-Cola (NYSE:KO) has been rumored to be interested in CBD (cannabinoid oil) drinks. Diageo (NYSE:DEO) could also try and add some exposure to hedge against marijuana eroding demand for its alcoholic beverages. Adding a second big name to the space would be huge — assuming the deal is closer in scale to the Constellation-Canopy deal, as opposed to just a minority stake along with talk of “sharing best practices” or other corporate-speak. What’s also potentially beneficial to the sector is the target. Cronos is one of the smaller publicly traded players in the space. I’ve written before that its portfolio looks a bit haphazard. I’m quite surprised Altria isn’t looking closer at Aurora Cannabis (NYSE:ACB) or even Tilray (NASDAQ:TLRY). Aurora’s sales in its September quarter were eight times those of Cronos. Tilray’s revenue was about three and a half times as large. Altria reportedly has held discussions with both Tilray and Aphria (NYSE:APHA) in the past. While recent allegations likely end any possibility of a deal with Aphria. It’s not clear why Altria passed on TLRY. An investment in Cronos by Altria is big for CRON stock in two ways. First, it’s clearly a vote of confidence in Cronos management. And secondly, it suggests that simply having a seat at the marijuana table is of real value. It’s a sign that Altria, at least, believes there will be multiple winners in the Canadian marijuana industry. That’s good news for Cronos stock — and likely everyone else. An investment from Altria into Cronos stock is good news, then… probably. The structure of the deal matters greatly. 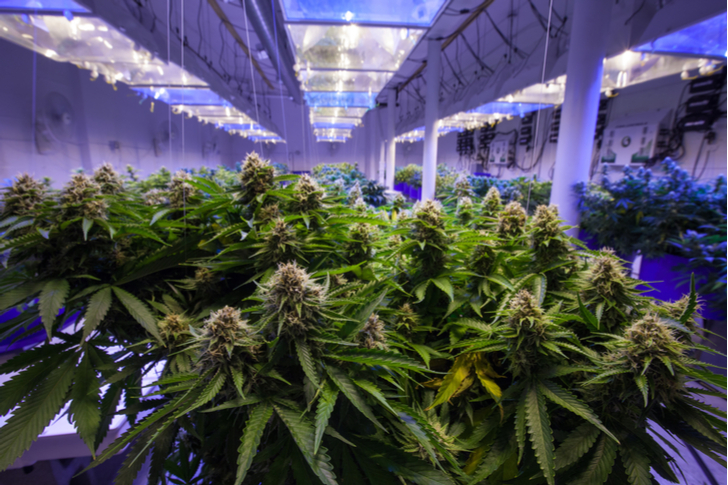 Given recent gains in CRON stock, investors likely are looking for something along the lines of the Canopy-Constellation agreement. Altria needs to take a significant investment, though not necessarily a controlling one. And investors will want to see a structure that makes Altria a strategic partner, not just a financial one. Anything smaller could lead Cronos stock back down. Something like a 10% stake at something close to the current CRON stock price (or to the price just a week ago) isn’t good enough. That amount of funding — $200 million or so — would be immaterial to Altria — and Altria stock. And it would suggest that the tobacco giant isn’t being aggressive with diversifying into marijuana, but rather dipping in its toe. An interesting question is whether an agreement might be a mover for Altria stock, which has struggled of late. MO stock is down over 25% from 2017 highs. And it’s declined more than 15% in less than a month. From here, it seems unlikely a deal will move Altria stock very much. Cronos on the whole is worth under $2 billion. That’s less than 2% of MO’s market capitalization. Even a major investment is unlikely to fundamentally move the needle for Altria stock. That outlook could change — again, depending on the structure of the deal. A more aggressive move that signals Altria itself wants to be a player in weed could bring in new buyers. And with the long-time stalwart offering a 5.7% dividend yield and a reasonable 13x forward multiple, it would become an intriguing combination of marijuana play and dividend/value stock. All told, how the Altria-Cronos situation plays out is likely to have long-term effects for both stocks — and their peers. A major investment further validates the marijuana industry. And it instantly sets off speculation about the next marriage. Will it be Coke and Aurora? Diageo and Tilray? Do Anheuser-Busch InBev (NYSE:BUD) and Pepsi (NASDAQ:PEP) now think about getting involved? Smaller pot stocks would likely benefit because now anyone, not just the biggest plays, can be a potential target. And the entire marijuana sector — perhaps aided by short squeezes in a few key stocks — can set off on a new rally. But there’s risk here, too. Gains across the sector on Monday — in CRON stock and peers — are pricing in good news. Should Altria walk away from a deal, the narrative instantly changes. Canadian marijuana looks perhaps too risky. U.S.-based companies might instead be waiting for clarity at the federal level. Constellation’s move looks more like a one-off effort — not the start of a ‘green rush’ by major consumer companies. Simply put, Altria’s decision is going to change the marijuana industry worldwide. So investors need to be paying very close attention. Article printed from InvestorPlace Media, https://investorplace.com/2018/12/implications-cronos-stock-altria-stock-deal-enormous/.